Beautiful 1/1 condo for rent. 1st floor. Resort style Courtney Palms condo! Custom 42" kitchen cabinets, beautiful counter tops, spacious pantry, walk-in closet, garden bathtub, built-in computer niche with high-speed internet access and 24-hour controlled gate access! Very well maintained community grounds that feature stunning scenic walking trails, a refreshing resort-style swimming pool, and spa with sun deck, terrific fitness center, business center, private movie theater, and indoor basketball and racquetball courts! 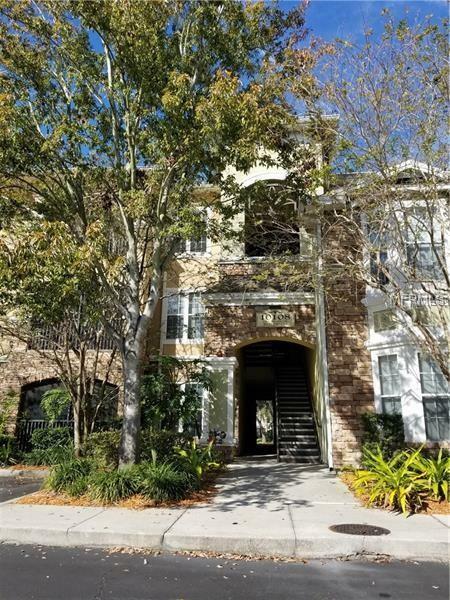 Easy access to downtown Tampa, Ybor. AVAILABLE,$995.00 security deposit, $50 Application fee per adult; subject to background check, only one very small pet allowed (under 15 pounds); $250 non-refundable pet fee. RENTERS INSURANCE IS REQUIRED.